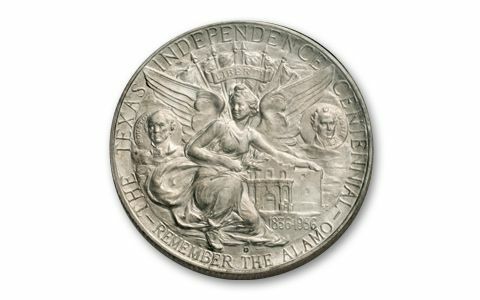 Sam Houston and Stephen Austin share honors with a winged angel of victory hovering over the Alamo on this silver Texas commemorative half dollar. The star is on the other side. 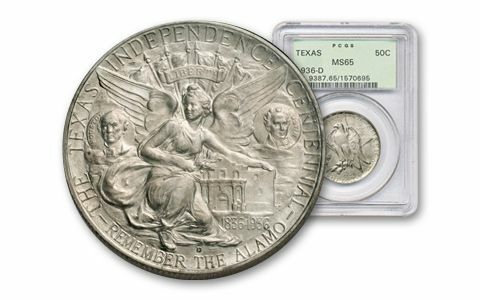 It's a virtual pictorial history of the founding of the Lone Star State! 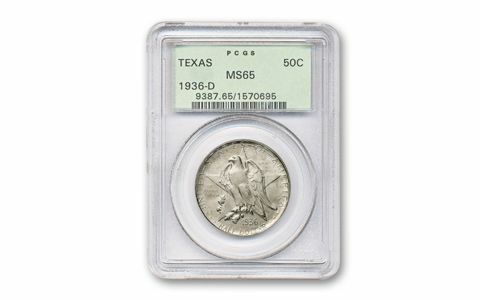 Struck between 1934 and 1938, the Texas Half Dollar celebrates the 100th anniversary of the Republic. 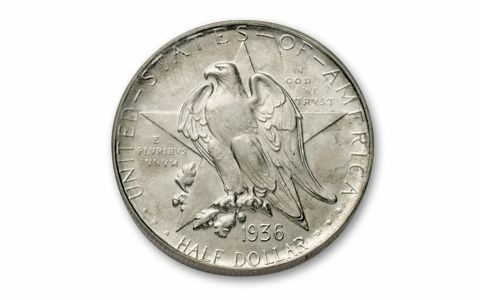 The intricate detail of this dramatic half still attracts collectors 75 years after issue. Start your set of early U.S. commemorates right here.